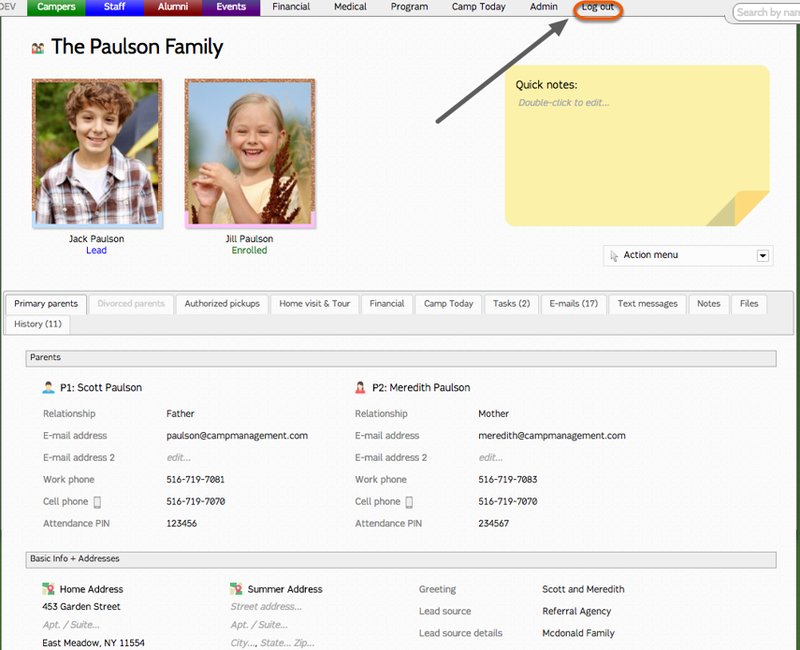 On the Family Profile Page, confirm that P1 has a valid email address on file and that it is the same email address the parent is using to log in to the Parent Dashboard. 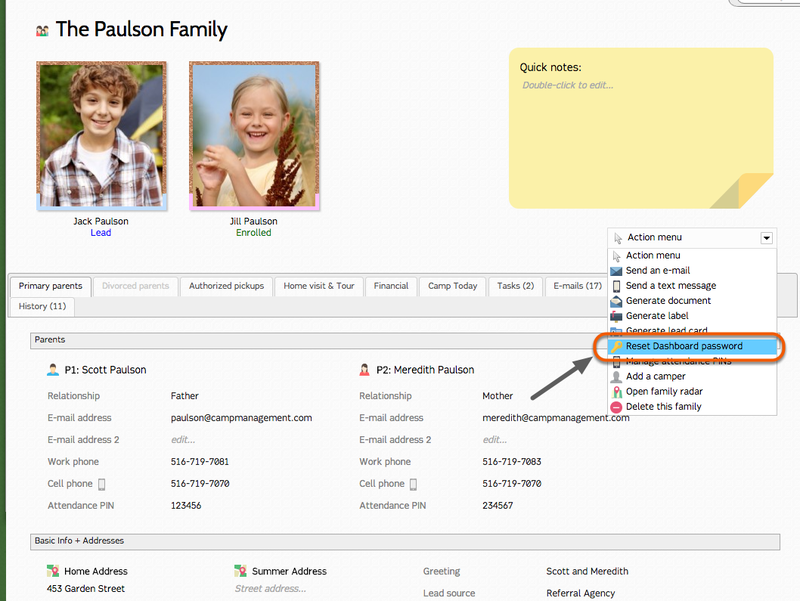 Go to the Family Profile Page Action Menu and choose "Reset Dashboard password". A pop-up window will appear that asks you to enter a new password and choose whom you would like to reset the password for. Enter a new password. (Remember passwords are case-sensitive). Choose which parent you would like to reset the password for. We recommend doing this for P1 during the troubleshooting process. If the user does not want to create a password themselves they can create a computer generated one by double clicking on the magic wand icon. Log out of the Administrative side of CampSite. 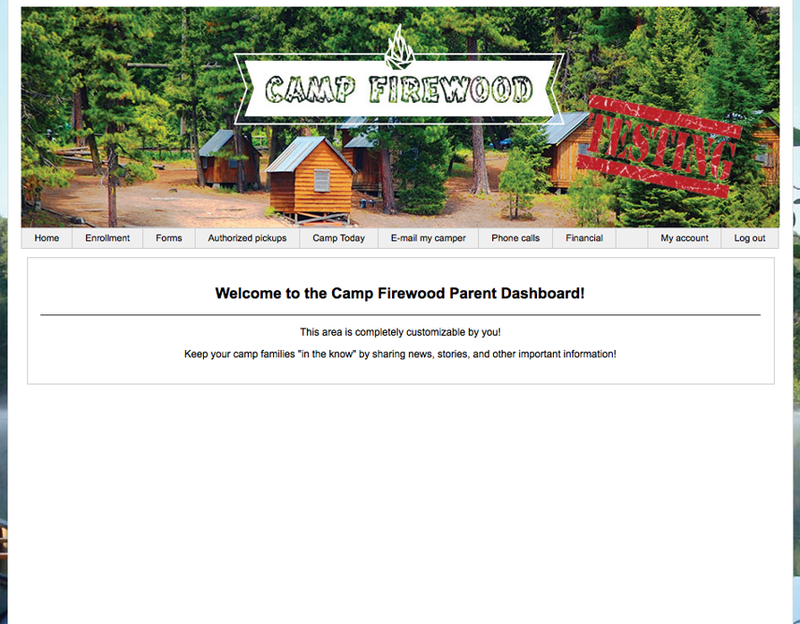 Next, pretend you are the parent whose password you have just reset and log on to the Parent Dashboard. 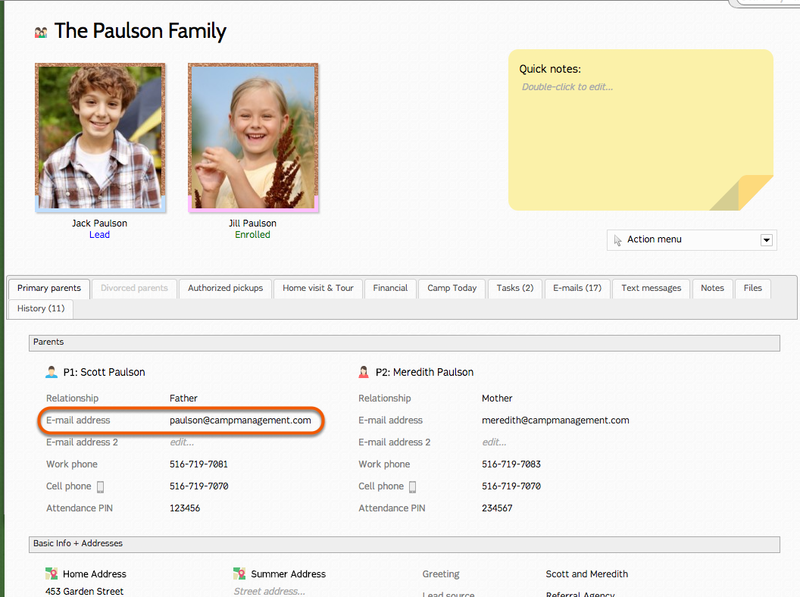 Use P1's email address as confirmed in the first step of this process. 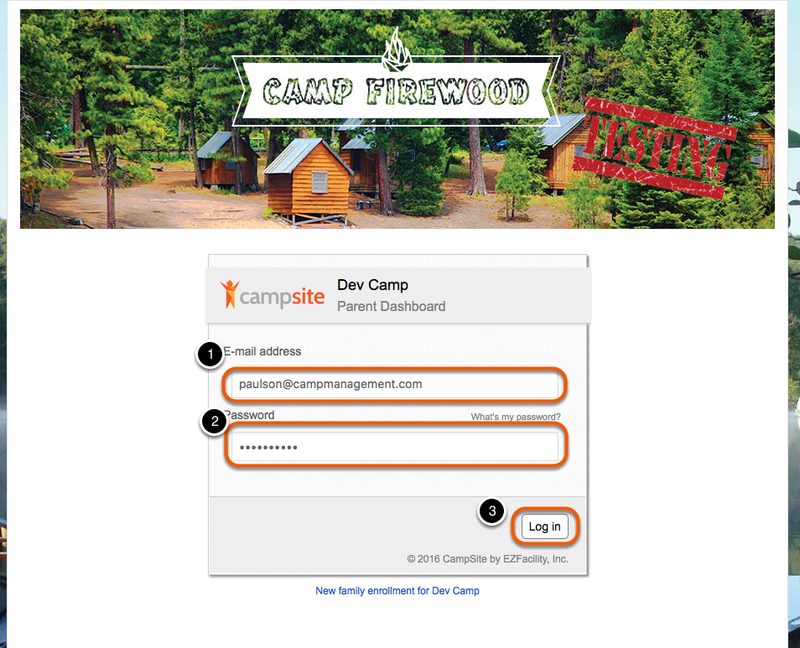 You should now see the Parent Dashboard Welcome Page with all the information you provided indicating that you have successfully reset the P1's Parent Dashboard password! 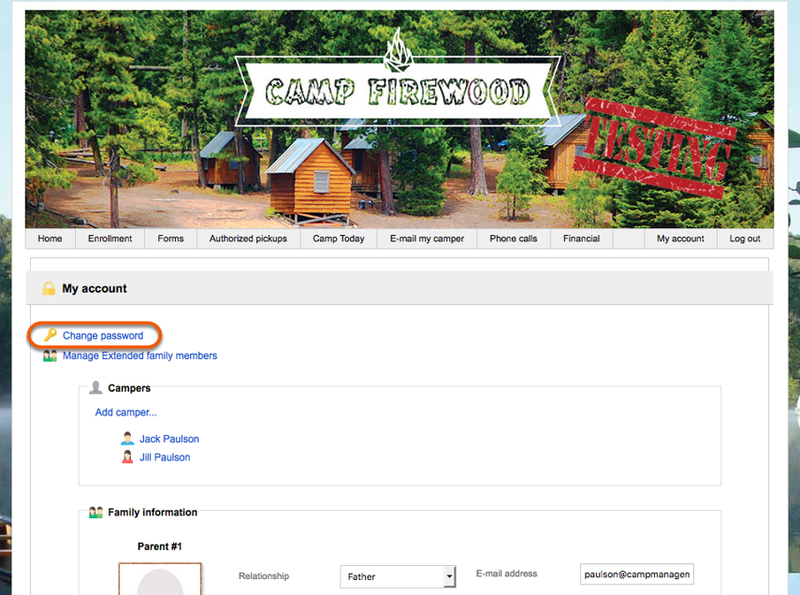 This confirms the log in credentials you have used are valid and can now be given to the parent to log in. 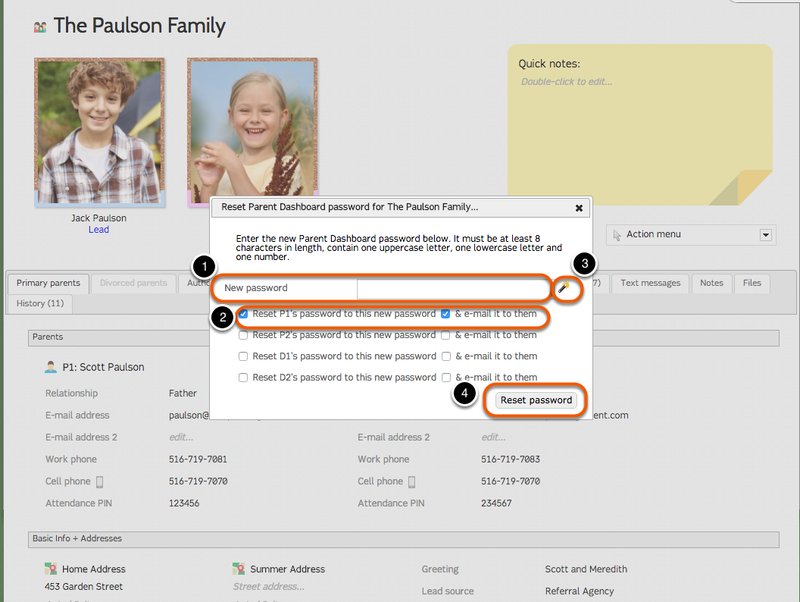 Now that you have successfully reset P1's Parent Dashboard password, you should contact the parent whom had difficulty logging into the Parent Dashboard and walk them through the steps you just took to log on to the Parent Dashboard. 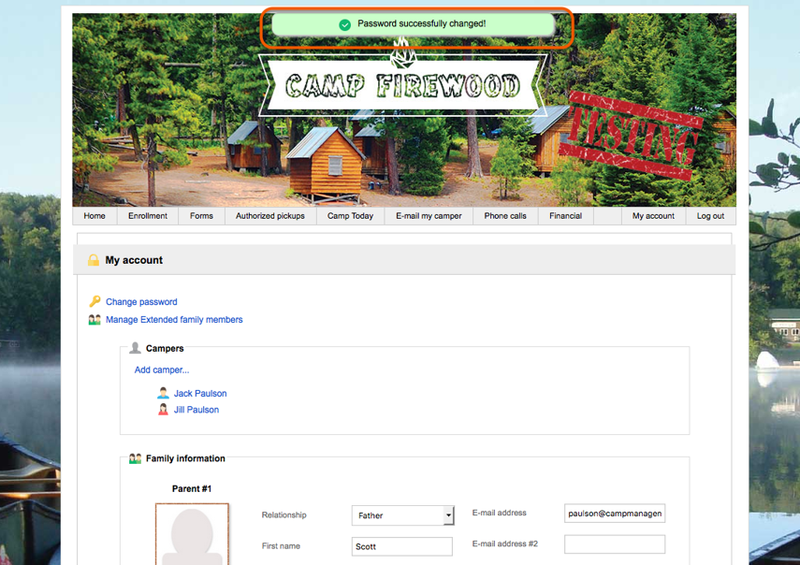 -Once the parent is logged on to the Parent Dashboard, they can change their password to something they will easily remember by choosing "My account" from the navigation bar. 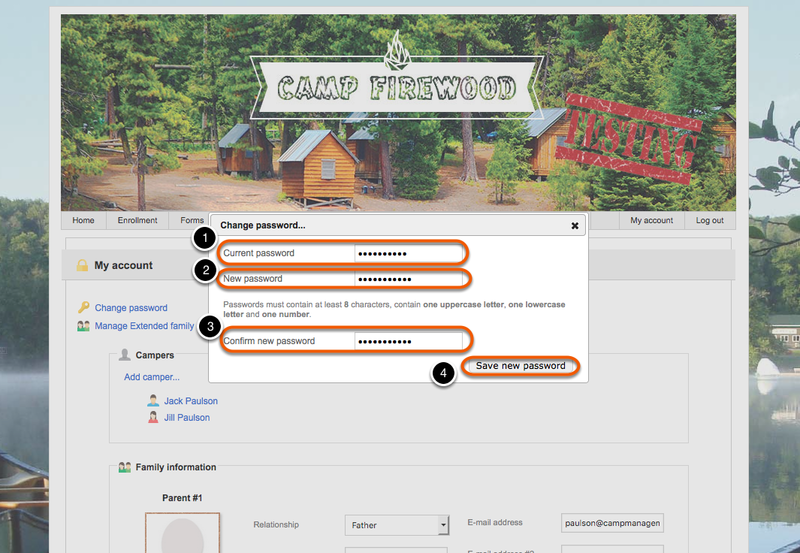 On the "My account" page, parents can change their password by entering a new password (minimum of 6 characters) and then re-typing to confirm their new password (remember password are case-sensitive). A green box will appear at the top of the screen indicating that the password was successfully changed. 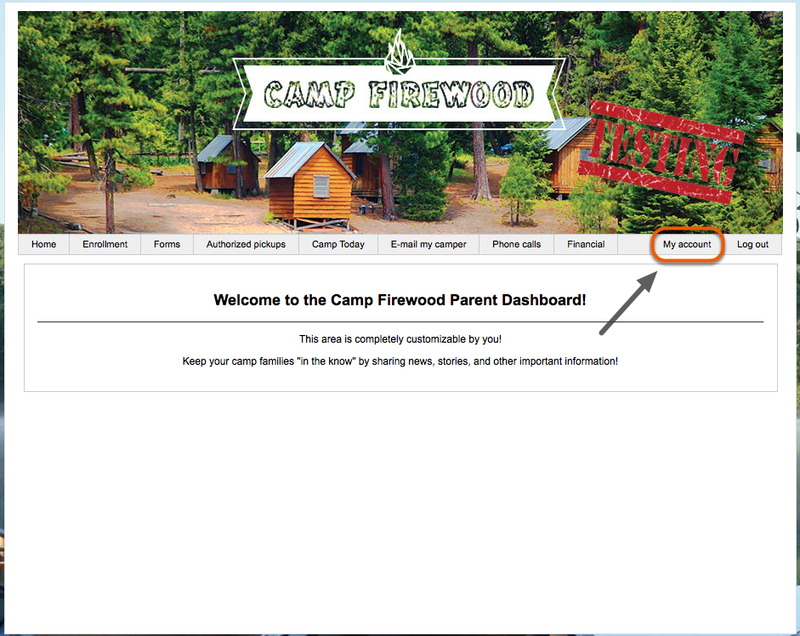 The next time the parent logs in to the Parent Dashboard, they will use the new password they just created.